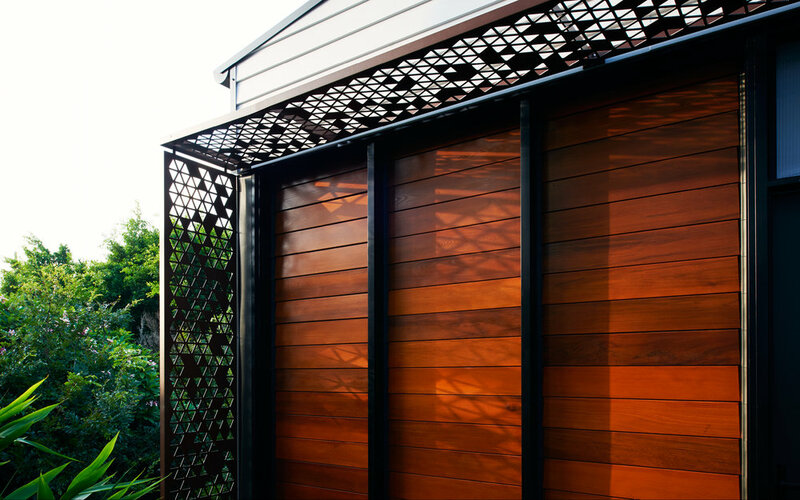 Contemporary yet taking reference to the Queenslander house vernacular was achieved by combining clean lines and laser cut screens with traditional elements such as weatherboards and louver shutters. 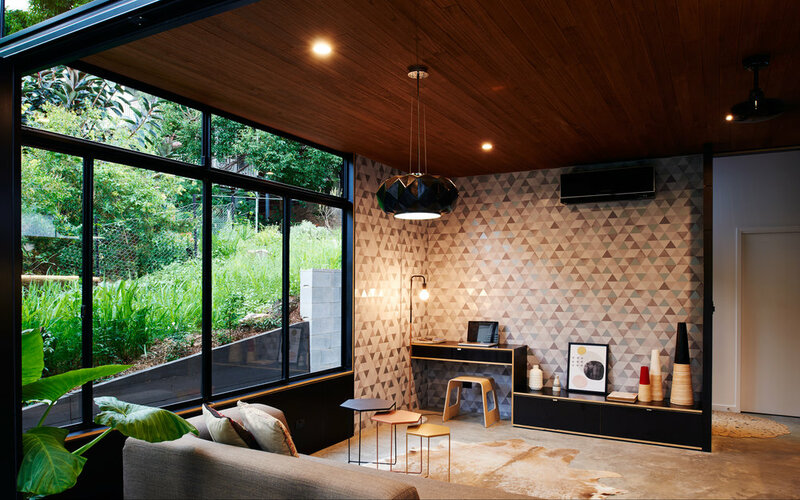 The triangular pattern used on the external screens is repeated on the window films to provide privacy and outlook at the same time. 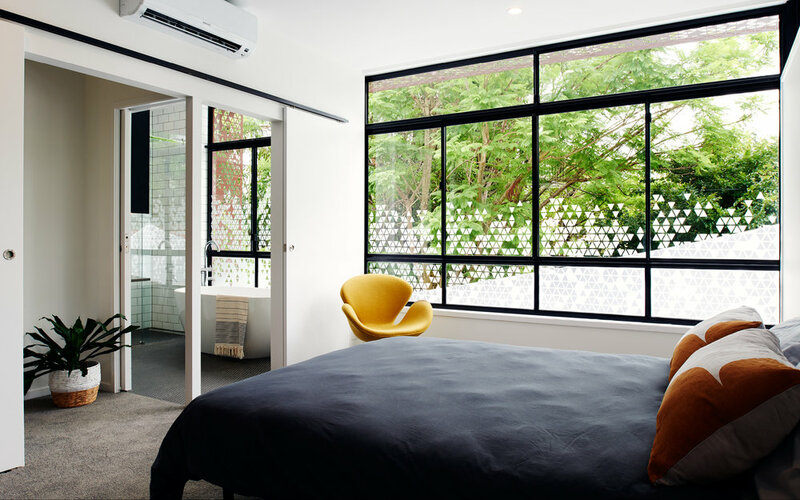 This project was an infill-development behind an existing house on an inner-city site. 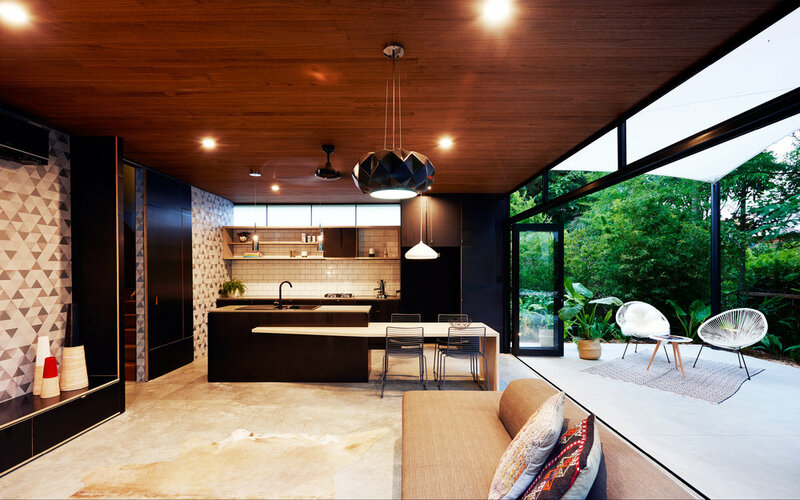 Intended as a multi-generational home, the existing house and the new gardenhouse provide the opportunity for separation or inclusive use as a large family home. Dealing with a steeply sloping site and the existing house occupying the highest point of the site, the design needed to ensure the existing house still retained an enjoyable view over the yard and was not obstructed by the new build. 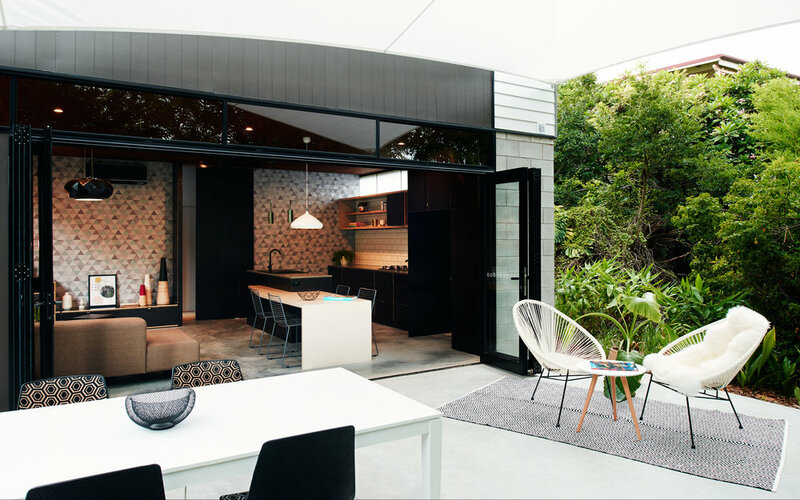 The new structure is strategically placed into the slope to produce two level yards thus optimising the use of outdoor space. 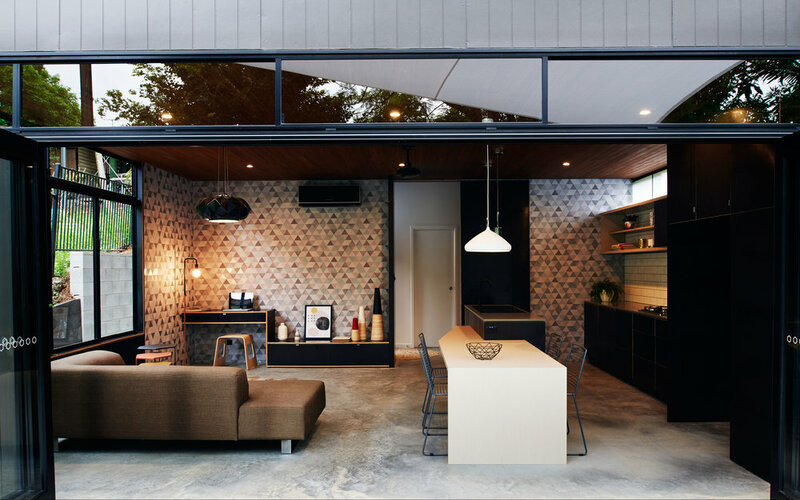 This strategy maintains privacy for the both houses, and does not compromise the aspect of the existing character house.